Regular exercise will assist you during your cancer treatment. 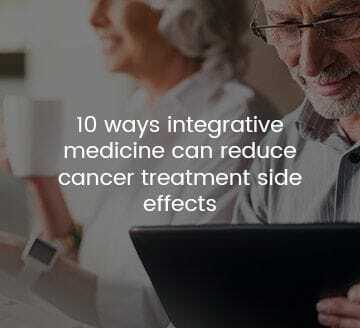 In the past doctors may have told cancer sufferers to reduce their activity and rest during treatment and this is good advice if movement causes pain, rapid heart rate or shortness of breath. However new research has shown that exercise is not only safe and possible during cancer treatment, but it can improve how well you function physically and your quality of life. Too much inactivity can lead to a loss of body function, muscle depletion and reduced range of motion. We are helping our cancer patients to be as physically active as possible during cancer treatment and afterwards too. A growing number of studies have looked at the impact of physical activity on cancer recurrence and long-term survival. (Cancer recurrence is cancer that comes back after treatment.) Exercise has been shown to improve cardiovascular fitness, muscle strength, body composition, fatigue, anxiety, depression, self-esteem, happiness, and several quality of life factors in cancer survivors. At least 20 studies of people with breast, colorectal, prostate, and ovarian cancer have suggested that physically active cancer survivors have a significantly lower risk of cancer recurrence and improved survival compared with those who are inactive.